..::Welcome to Keltech Energies Ltd::..
Perlite is a siliceous volcanic rock containing small amount of combined water. When crude perlite ore particles are heated to above 850 Deg. Centigrade, they expand to form countless sealed glassy cells which possess a number of inherent properties. Expanded perlite is available in different particle sizes with varying bulk density. The particles are chemically inert, very light weight, mildly abrasive and inorganic material with a porous structure. 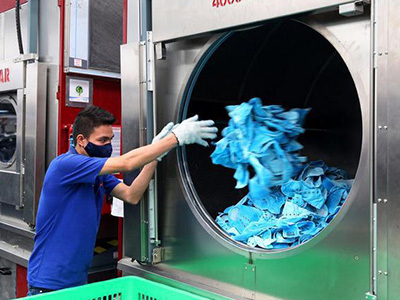 The washing of garments is generally carried out in tumbling type automatic washing machines, using a cleaning solution consisting of surface-active agent enzyme, foaming agent and extender. For heavier garments like jeans, trousers etc., the removal of grease and oil requires the cleaning solution to be mildly abrasive by using extenders. •The porous structure allows perlite to hold water with the surface-active ingredients on its surface thereby reducing the requirement of water for washing. •Excellent stability even in hard water. The grade of perlite specification for garment washing is a mixture of course and fine Particles in size : 90% between 4.75 mm to 0.150 mm. having bulk density in range 100 to 150 kgs per cu. M.
"LITEMIX" grade of expanded perlite, specially manufactured for this application is available in 10 kgs packing in HDPE woven sacks. 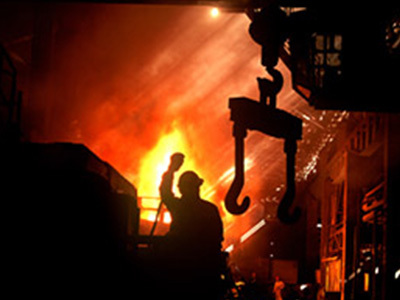 Keltech Energies Ltd., Perlite Division offer the following products which are used as lightweight and insulating ingredients in the manufacture of refractories. A lightweight expanded perlite coarse aggregate made from naturally occurring volcanic rock having good insulating property. Essentially alumino silicate, inert with high compatibility with cement. Bulk Density - 100 – 150 kgs per cu. m.
Used as a lightweight – insulating ingredient with low iron content in castables. 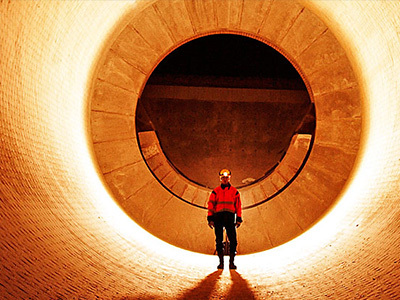 Such refractories were originally developed for catalytic reformers, which required product with less than 1% iron content to avoid poisoning of catalyst. 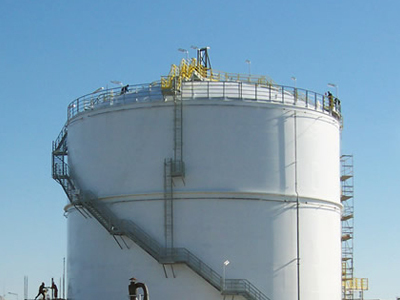 Because of its ability to withstand atmospheres containing carbon monoxide and high percentage of hydrogen its use has spread to other applications requiring a high purity material of lightweight and high insulating efficiency to ensure economic linings. Mainly used in sponge iron, petrochemical chemical and refinery catalytic reformers, boiler top decks and arc furnace insulation etc. Maximum service temperature 1100 C.
Available from our works at Vishwasnagar – Karnataka & Garamsur - Maharashtra. Packing : Available packed in HDPE woven bags of 10 kgs net weight. Order Quantity : Multiples of 10 kgs. Vermiculite is micaceous mineral, which rapidly exfoliates on heating to produce lightweight aggregate. With these aggregates, we could manufacture various products. To produce lightweight aggregate temperature required is 400 C -1100 C. It depends on quality of raw vermiculite, which exfoliates upto 20 times. Exfoliation takes place at an angle of 900 C to the cleavage plane. Mineral vermiculite is soft, pliable, inelastic, dull in appearance and opaque. It is hydrated magnesium Aluminum silicate. By heating it exfoliates. The colour of raw vermiculite is dark brownish yellow, greenish or almost black. After exfoliation colour changes to lustrous gold or golden brown with a silver tint. Expanded vermiculite has several advantages. It is lightweight, non-corrosive free flowing non-conductor of electricity, odorless, non – abrasive, acid resistant, chemically inert, reflective, hygroscopic, low thermal conductivity vermin, termite, moth and rodent proof, insoluble in water and inorganic solvents, resistance to heat penetration, high thermal insulation, asbestos free. It does not crumble with sawing, does not react with gases, have shrinkage, resistance to both hot and cold thermal shocks, economical to many other available insulation bricks and comparable to calcium silicate based products. Its lightweight and its low thermal conductivity on exfoliation make it a very suitable ingredient for refractories. Loose Density - 140 – 180 kgs per cu. 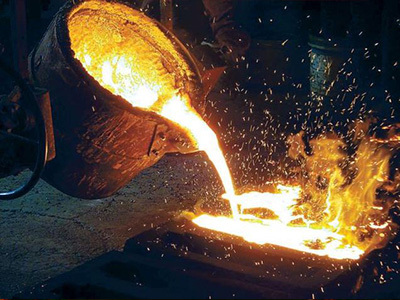 M.
It is used as constituent of refractory blocks and firebricks for use in furnace temperature of up to 1300C. It is possible to use vermiculite based refractory blocks as hot face insulation surface in furnace, but it is more common to use them as backup in high temperature applications. Also used as a lightweight ingredient in high temperature and medium strength castables, which are easily castable in awkward positions where it is not possible to use in pre-formed materials, Maximum service temperature 1300 C.
Perlite ore is used in the granular form in size –8 + 40 # as a slag coagulant in continuous induction furnaces and in ladles. The ore will expand when it comes into contact with the melt, forming a light weight, viscous cellular mass. This mass attracts all individual slag particles in the metal and prevent retention or re-entry of the impurities into the metal bath, virtually eliminating the problem of slag inclusion. The alkaline compounds present in the perlite ore also helps in reducing sulphur and phosphorous compounds in the melt. The quality of perlite ore will depend on the viscosity and coagulative nature of the melt. 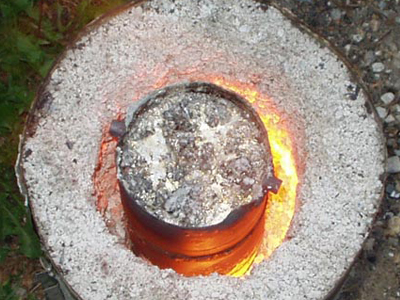 However, 1 to 2 kgs per ton of melt in ladle / furnace is recommended. Larger quantity can be used to get additional benefit of sulphur and phosphorous reduction. •Coagulates slag and traps all impurities. •Simplifies ladle skimming and removal of slag without raking. 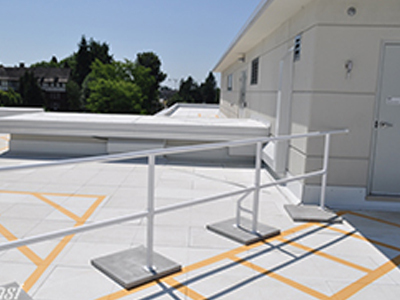 •Reaction with melt produces no smoke or fume of health hazards. •Additional benefit of sulphur and phosphorous reduction. Perlite ore in size –8 + 40 # can be added to molten metal pouring ladles to act as an insulating cover. 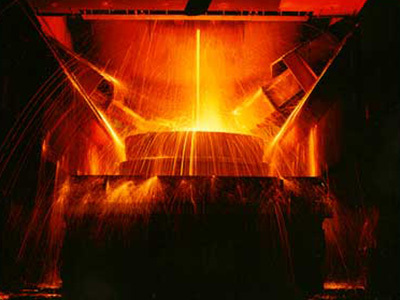 The ore on expansion will prevent heatless maintaining the pouring temperature of the melt longer, especially in continous casting requiring longer hold time. 10 to 15 kgs per ton of metal, depending on the size of the ladle. 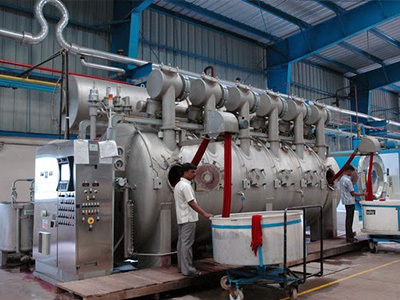 •Facilities holding of melt for longer time permitting deoxidation and decarburisation Process. •Energy saving as heat loss during transfer of melt from furnace to ladle can be eliminated. •Eliminates shrinkage defects in cast materials. Perlite ore can be used to protect the refractory lining of ladles thereby avoiding frequent relining. Addition of perlite forms a glassy coating on the ladle wall, which increases the life of the lining. 10 to 15 kgs per ton of melt. •Prolongs refractory ladle lining life. 2 TO 3 % by weight of the casting, powder to be sprinkled on the top of the mould after pouring. •Retards quick solidification of the castings. •Reduced chilling effects, permits easy machinability of the castings. 0.5% of the weight of sand in case of ferrous metals and 0.1% of the weight of sand in case of non-ferrous metals. •Casting defects such as buckles, veining, fissuring and penetration are thus minimized and cleaning room costs reduced. 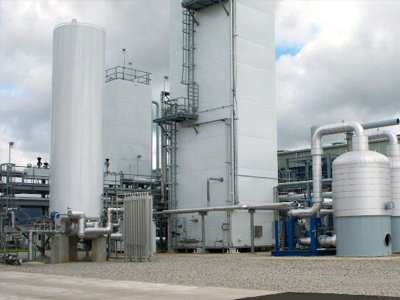 •Perlite also provides better permeability to core sands reducing defects attributable to poor venting. Perlite is used as an insulating ingredient of the fibrous matrix, which forms exothermic sleeves which is used as riser and sideboard panels for hot tops. Thermofil – C is white in colour and weighs 55-70 Kgs per cubic meter. The size grading for 80% of thermofil-C range between 1.18mm & +0.075 mm and the moisture content is less than 0.5%. An additional property of water repellence is 150 CC out of 250 CC and is packed in 6Kgs HDPE bags. 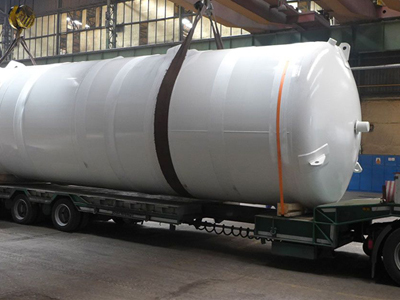 Thermofil-C is used for insulation of air separation units of oxygen plants, vacuum insulated / non-vacuum storage tanks and flasks and containers. It is also used in explosives and loose fill insulation of masonry blocks. Fillite is white in colour and weighs 55-75 Kgs per cubic meter. 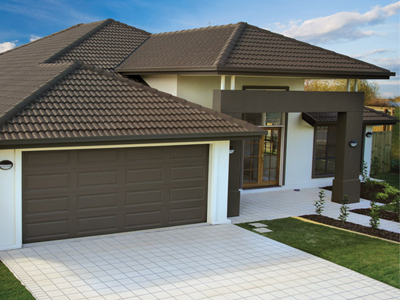 The size grading for 95% of fillite range between 1.18mm & +0.106 mm and the moisture content is less than 0.5%. It is packed in 6 Kgs HDPE bags. Fillite is used for loose fill insulation of cryogenic storage tanks, filler, poultry medicine carrier, foundry insulation products, refractory and cold boxes. Litemix is white in colour and weighs 100 -150 Kgs per cubic meter. The size grading for 90% of litemix range between 4.75mm & +0.15 mm. It is packed in 6Kgs HDPE bags. Litemix is used for refractory castables, roof deck insulation, light weight floor fills, concrete blocks and garment washing.